Lake Tahoe real estate is second to none. With homes overlooking the majestic blue waters of Lake Tahoe, only minutes to Olympic caliber ski resorts, cabins and mansions alike can be found in the tree covered neighborhoods surrounding Lake Tahoe. Lake Tahoe provides a life style unlike any other place on earth. Both outdoor and indoor enthusiast will find plenty of recreation and entertainment in this mountain community. CENTURY 21 Grand CENTURION® Award and Quality Service Pinnacle Award have been achieved by CENTURY 21 At Tahoe Paradise in 2005, 2006 and 2010 for their outstanding production and customer service achievements. This firm has worked hard to win these awards. 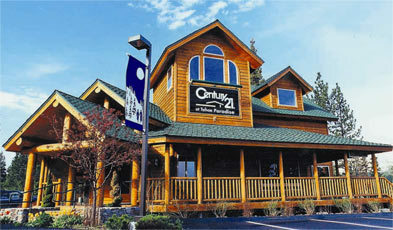 They represent the highest accomplishments that they could attain through CENTURY 21 Systems. The Realtors at CENTURY 21 At Tahoe Paradise take pride in our beautiful surroundings and enjoy sharing the “Tahoe Experience” with others. Whether you are looking for a permanent home, a vacation home, land, or commercial property, our agents are familiar with the area and will strive to find the perfect home in the perfect location for you. We have homes for sale in both California and Nevada and look forward to assisting you with your Lake Tahoe real estate dreams. South Lake Tahoe Real Estate has evolved from quaint A-frames to full scale mansions. With the growth of South Lake Tahoe in the 1960’s and 70’s came a waterfront neighborhood with private docks and lake access known as the Tahoe Keys. Today these large, modern homes, with fantastic views of Mount Tallac and Lake Tahoe, are popular with second home buyers and boat enthusiasts. “Vintage Tahoe” homes and handyman specials are still available for the first time home buyer as well as home buyers on a tighter budget. South Lake Tahoe Neighborhoods* are as diverse as the people who dwell in them. The “Stateline area” offers two sub areas at the California – Nevada borders on both the north and south shores of the lake. The median home in these neighborhoods was built in 1966. The ” Bijou Pines area” is located in the middle of the northeast side of South Lake Tahoe. The median home in this neighborhood was built in 1971. The “Al Tahoe area” is located between Hwy 50 and Lake Tahoe. The median home in this neighborhood was built in 1970. The “Tahoe Meadows area” is a gated community located on the northeast side of the city of South Lake Tahoe and is considered a lakefront community. The median home was built in 1965. The “Highland Woods area” is located in the center of South Lake Tahoe near Sierra Tract nestled between Hwy 50 and the lake. The median home was built in 1975 making this one of Tahoe’s newer neighborhoods. The “Sierra Tract area” is located on the southeast side of South Lake Tahoe between Hwy 50 and Pioneer Trail. Bordering several meadows and offering many breathtaking views of the mountains, this neighborhood remains one of the more “affordable” areas of town. The median home was built in 1967. 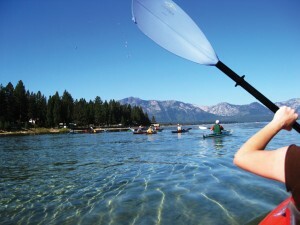 The “Tahoe Keys area” is located in the far northwest corner of South Lake Tahoe. The median home was built in 1976. The “Tahoe Island area” is located in a southwest portion so South Lake Tahoe near the “Y” between Hwy 89 and 50. The median home was built in 1971. The “Gardner Mountain area” is located between Hwy 89 and the city/counter border on the southwest side of South Lake Tahoe. The median home was built in 1968. The “Barton/Bonanza area” is located on the south east and west corner of South Lake Tahoe. The median home was built in 1969. Within each of these unique neighborhoods lies real estate gems and jewels. Our agents know all of the homes for sale in all of the different neighborhoods of South Lake Tahoe and are eager to help you find your diamond, be it in the rough or not. Or, if you prefer, you can search our listings and let us know which homes you would most like to view.